Processing procedures involving powdered, granulated or other free-flowing materials require regular, high volume product top-ups to maintain adequate production through-puts. 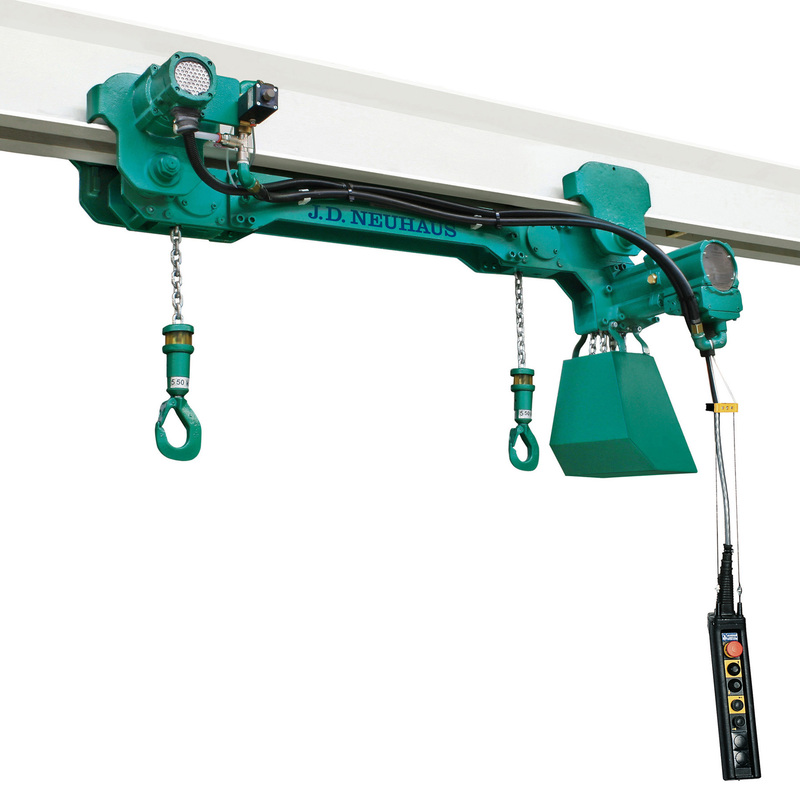 The specialised big-bag, air operated hoists manufactured by J D Neuhaus are suitable for operating with single or twin bag loads. 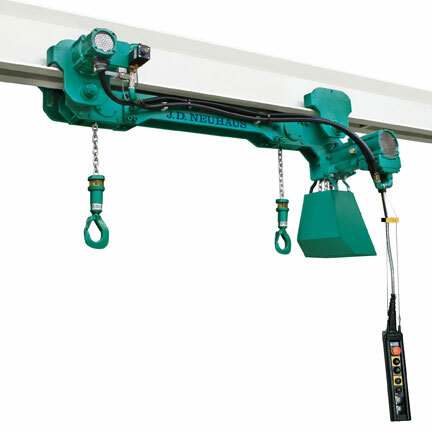 These handling products also provide safe, speedy and accurate positioning, even where limited headroom conditions exist.